Workers' Compensation Reports - Kura MD, Inc. Receive 100% accurate impairment ratings for work-related injuries according to AMA guidelines. All-time high premiums within many business classes, along with the indirect costs associated with employee injuries, are often two to three times more expensive than the insurance premiums. Many employers feel helpless in controlling these costs and do not realize the level of control they can have. 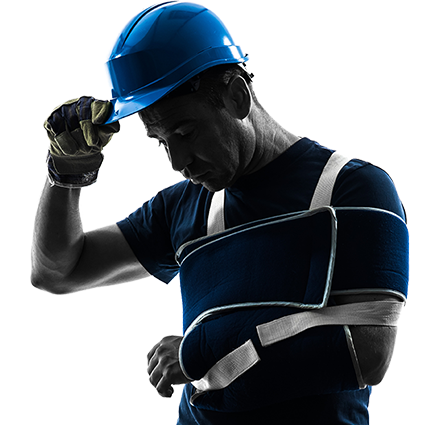 Need Treatment for a Workers’ Compensation Injury or Illness? Download our Request for Authorization below. Fill it out and send it to the physician fax number in the document and one of our representatives will contact you when it’s received. Opening a work comp claim has never been easier. Record important information that will be used throughout the life of a workers’ compensation claim. Our software ensures that you collect all the necessary information for a truly complete Doctor’s First Report. No more dictation or filling out cramped forms; access and print perfectly formatted reports. Import information about patients and their injuries from prior reports. Gather information with the final Permanent & Stationary Report and the whole person impairment in mind. No need to worry about gathering all necessary information. We ensure that your Progress Report is complete. Update information only if it changes. Tired of digging through AMA Guides? Our Reports include laser accurate impairment ratings! Swiftly conclude a work injury claim. Ask all the right questions: our reports prompt doctors to take all necessary measurements. Submit your report for rating and you will receive an accurate whole-person impairment rating within 3-5 business days. Kura MD Enters Network Agreement With Coventry to Be a Provider of Telemedicine Services for Workers’ Compensation. Kura MD provides a secure audio/video telehealth platform, medical coordinator call center, and physicians for online medical consultations for workers’ compensation and general health. Kura MD delivers medical services to the patient at work, home, or while traveling by phone, or online using a smartphone, tablet, or computer. Our proprietary telehealth program provides greater access to healthcare, while reducing healthcare costs. You can "See the Doctor Now” using Kura MD.